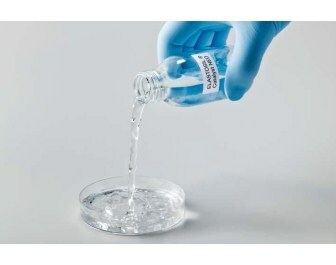 Wacker Chemie AG announced that it has formulated a tin-free catalyst for two-part, room temperature-curing silicone rubber grades for moldmaking and encapsulation applications known as ELASTOSIL Catalyst NEO. As said, the catalyst is specially tailored for use with the condensation-curing base components of Wacker’s ELASTOSIL M rubber grades. Moldmaking compounds catalyzed with this product can be processed normally. They possess the same mechanical properties as traditionally cured compounds. ELASTOSIL Catalyst NEO is the newest catalysts for two-part, room-temperature-curing mold-making compounds, also known as RTV-2 compounds. Free of organo-tin, Wacker says the new catalyst is not affected by an EU directive effective early this year on moldmaking compounds containing dibutyl or dioctyltin compounds. The directive prohibits manufacturers from selling products containing more than 0.1wt% tin to individuals and hobby users. The new catalyst allows easy switch of moldmaking and encapsulation processes over to completely tin-free systems. Used in relatively small proportions, a hardener is generally the second component of room-temperature-curing silicone rubber. It consists of a curing agent and a curing catalyst that drives the cross-linking reaction at a rate appropriate to the application. The new, tin-free ELASTOSIL NEO catalyst is formulated not only to provide a sufficiently long pot life for making molds of large objects, but also to ensure that the compounds cure within 24 hours, according to Wacker. Because condensation-curing RTV-2 compounds harden at room temperature in the presence of humidity, they can be processed without the use of complex equipment. Their primary application is making molds of technical items, objects of art and archaeological artifacts, with the silicone rubber forming the negative mold of the item being reproduced. Condensation-curing RTV-2 compounds can also be used for encapsulating electronic components and assemblies.